Dopo anni di lavoro costante all’estero questo risultato in casa, sebbene piccolo, mi riempie di gioia. “ONE AGAINST ALL” OUT NOW EVERYWHERE! “One Against All” is out everywhere! Here it is, the official news from SLIPTRICK RECORDS! In 2014, Alessio (aka. NeroArgento) started the electro metal/industrial band, The Silverblack with Claudio Ravinale. The Silverblack have already released 2 albums on Sliptrick Records, the first in 2015 and most recently, “The Silverblack” in September 2016. Now it’s time for NeroArgento to step out once again for his third solo album “One Against All”. In 2015 NeroArgento began a modeling and acting career, working with several international brands like Dainese, Les Benjamins, M Collective and Tony&Guy while also taking part in several international events like Milano Fashion Week. 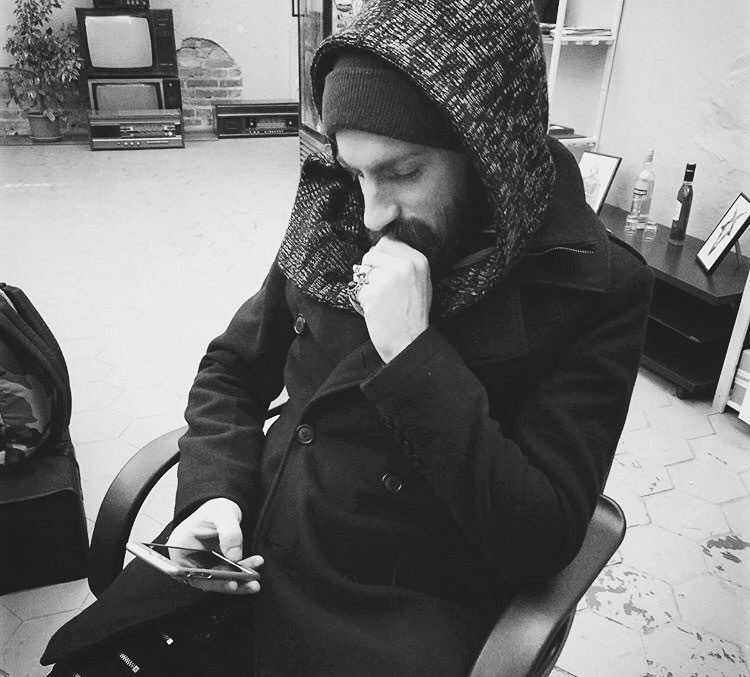 In 2016, together with his friend Luca Salerno, he started the high fashion clothing line “Noir D’argent” and a great #futurepunk project which includes their vinyl record release. Find out more at noirdargent.com. Earlier this year, The album had it’s Japanese release and we’re proud to announce that Sliptrick Records (in conjunction with the One Against all agency) have the album worldwide on December 13th, 2016. The music style has evolved once again delivering a more mainstream-oriented electro-rock featuring extremely catchy melodies and keyboard-driven tracks. “One Against All” also contains a couple of tracks performed live with Yoko Hallelujah. 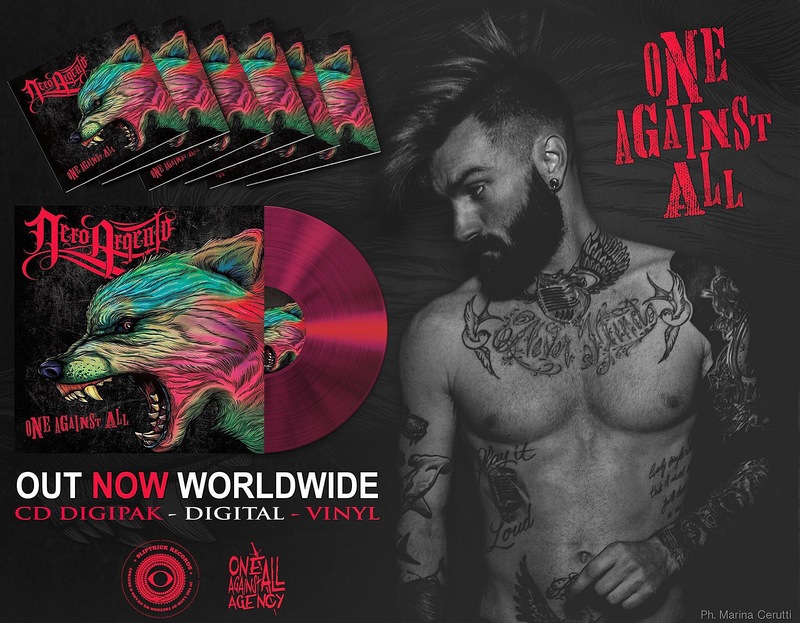 The album will be released in vinyl, cd digipak and with exclusive merchandize including “One against All t-shirts, male and female versions” plus vinyl release and special bundles including cd, vinyl and t-shirts. As a producer & arranger, Nero has appeared on more than 30 worldwide releases. The brand new exclusive video, “Soldiers Of Afterlife” is out on December 6th!